Will the GOP Majority In Congress Ever Stand for Anything? A massive capitulation by the Republican leadership in the House and Senate! Of course I am referring passage of the “clean” bill to fully fund the Department of Homeland Security through September. Keep in mind the defunding of the unconstitutional executive orders on immigration of just the Department of Homeland Security was the Republican leadership’s idea in the first place! Now the Republican leadership is blaming conservative members of their own party for “threatening” to defund DHS. 1. Why bother to take a stand if you will abandon that stand when the going gets tough? 2. Why should the conservative members of the House and Senate believe their “leadership” if they cave in and pull the rug out from under them even on the leadership’s own plans to confront a President who believes the Constitution is not binding on him. 3. Why should those same House and Senate members believe these “leaders” when they not only abandon their own plans but try to pin the “blame” on the conservatives for standing up for the Constitution? 4. Why should we rank and file Republicans believe the leadership when they tell us anything? Jim DeMint of the Heritage Foundation has an article on this issue that is well stated and I commend it to you [Daily Signal]. In a far-too-brief summary of the fiscal cliff deal: income taxes increased on people making more than $400,000 (couples over $450,000), tax deductions phase out for individuals making more than $250,000 (couples over $300,000), payroll taxes increased on people making more than $50,000, the death tax was increased from 35% for estates over $5.12 million to 40% for estates over $5 million, the Earned Income Tax Credit was expanded, college tuition tax credits were extended for five years, and federal unemployment benefits were extended for a year. The vote on the fiscal cliff provides an interesting illustration of the impact of redistricting on Orange County’s Congressional representation. The old OC delegation voted 5-2 in favor of the fiscal cliff deal while the new OC delegation voted 4-3 against the fiscal cliff deal, with the new 8th member not yet seated. More interestingly, the old districts had Republicans 3-2 in favor of the deal with the Democrats at 1-0 while the new districts have Republicans 3-1 against the deal with the Democrats at 2-0. Ed Royce (R-Fullerton), Linda Sanchez (D-Cerritos), and Loretta Sanchez (D-Santa Ana) voted in favor of the fiscal cliff deal. John Campbell (R-Irvine), Darrell Issa (R-Vista), and Dana Rohrabacher (R-Huntington Beach) voted against the fiscal cliff deal. 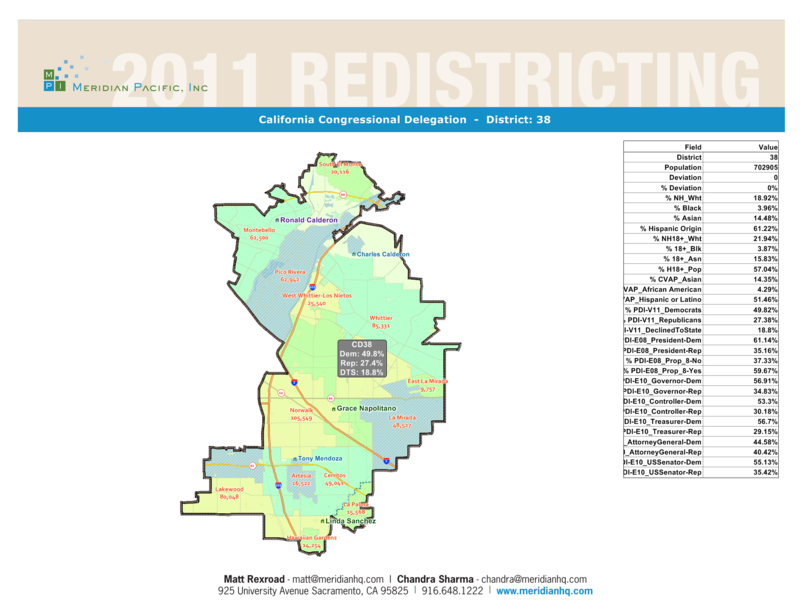 Congressmen Gary Miller (R-Diamond Bar) and Ken Calvert (R-Corona) represented portions of Orange County until yesterday but now represent exclusively Inland Empire districts. Miller and Calvert both voted for the fiscal cliff deal.